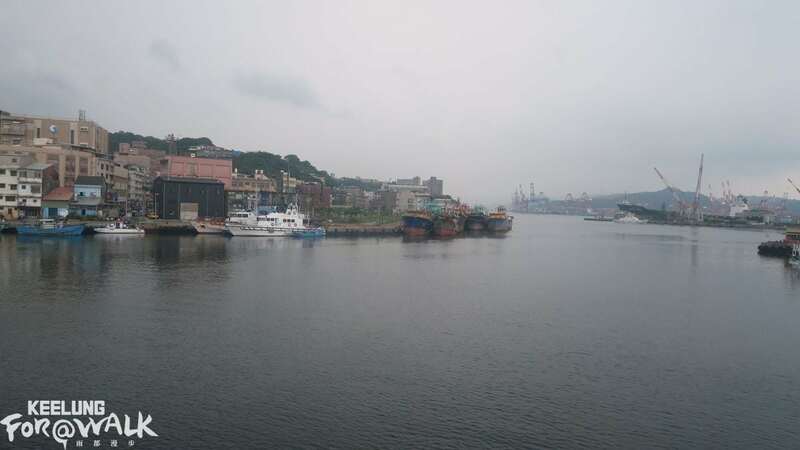 You might think the mysterious island you see just through the mist of the bay (Keelung Islet) is Keelung’s closest island, but that title actually goes to Heping (Peace) Island. Known as Sheliao Island in the past, Heping Island was the area’s earliest development zone before Fujian immigrants came to northern Taiwan, and it has had a rich history since 1626. The Wangye boat is located in Sheling Temple, 300 meters from the Peace Bridge of Heping Island, where you can catch a beautiful view of Cheng-Bing fishery port and ruins of the Agena Shipyard. 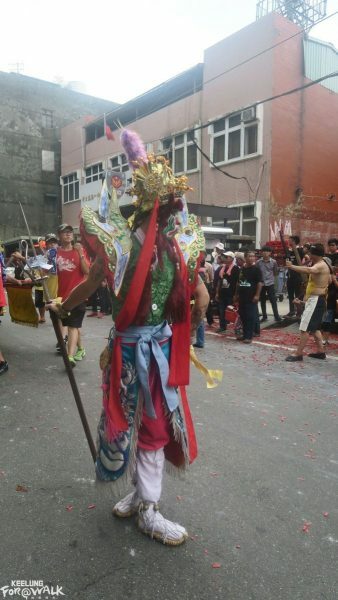 This all takes place in the old Keelung area, between the mountains and the sea. This “royal highness” boat procession is not known by most people living in other parts of Keelung. 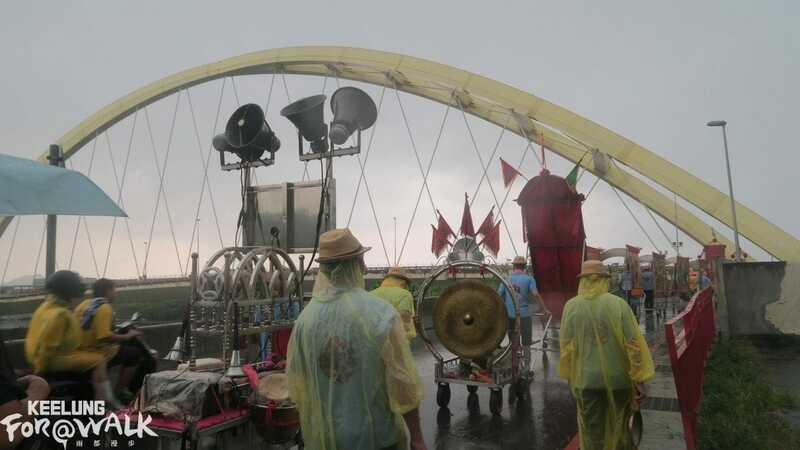 In addition to being an important patron to goddess of the sea (Matsu), Wangye is also important to fishermen. 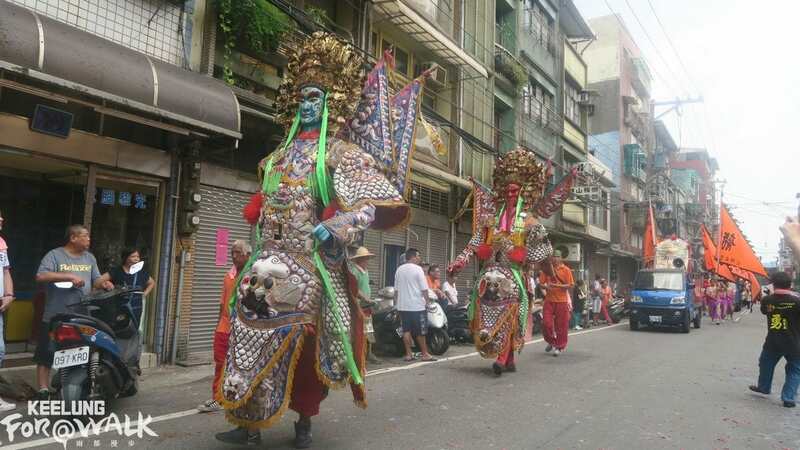 The most famous Wangye ritual in Taiwan is the Donggang Wangye Worshipping Ceremony, and its grandeur may match that of the Keelung Ghost Festival. Wangye need to take Wangye boats during the procession, and this ritual helps remove bad luck and bless the fishermen’s harvest. In the past, the Wangye boat procession could take place on land or sea. 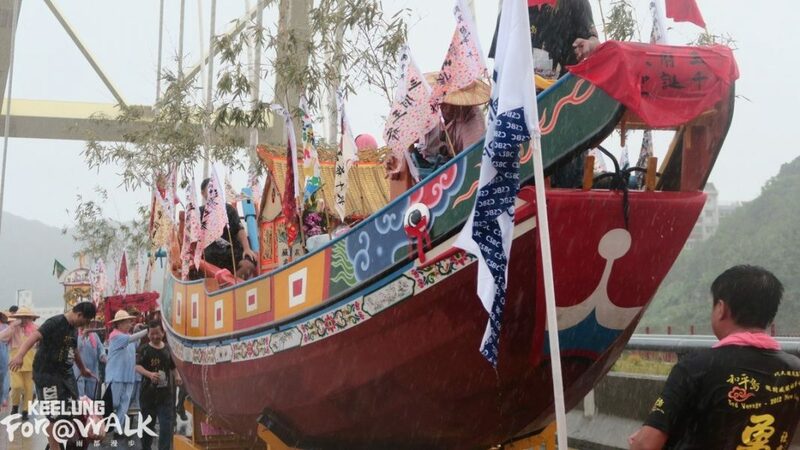 There was once a Wangye boat that sailed from Heping Island all the way to the Hu-Guo ChengHuang Temple in front of Keelung port. 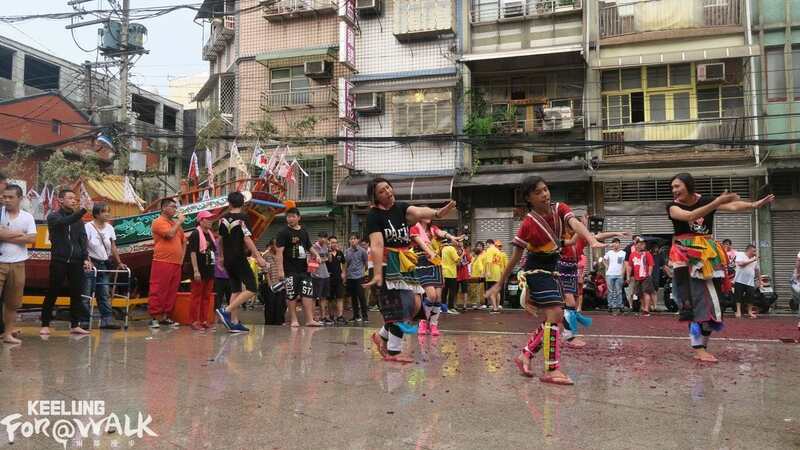 The procession on land is hosted on the three-Wangye birthday, on the 15th day of the sixth lunar month each year, beginning at noon and ending around four in the afternoon. 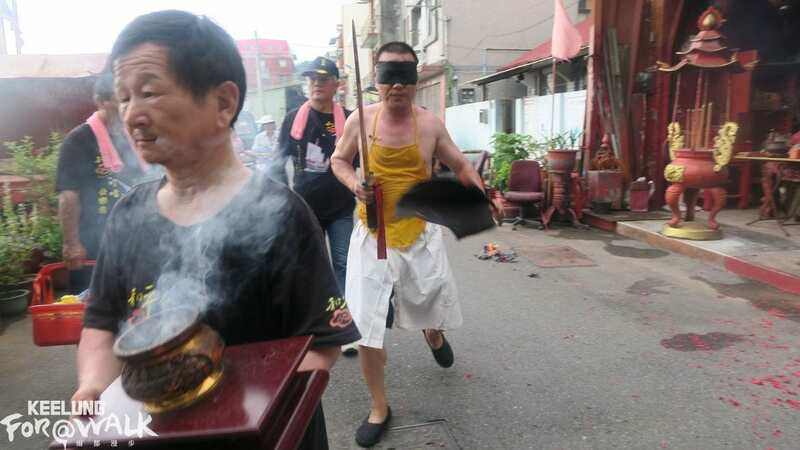 The Spirit-medium also joins to get rid of the bad luck from the procession area. 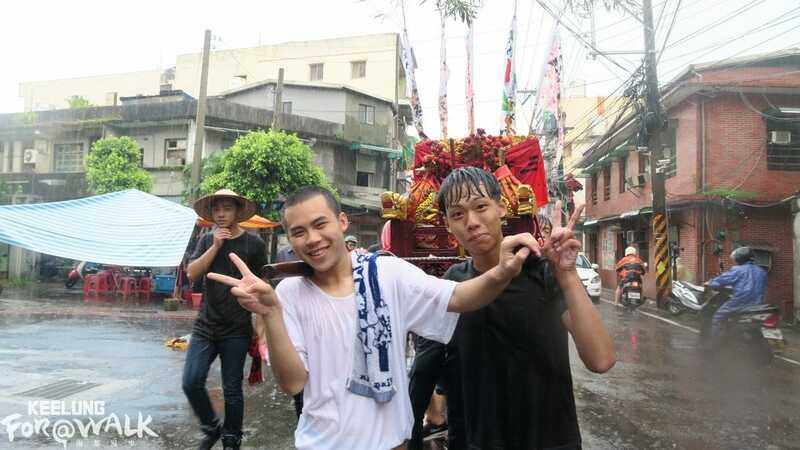 This year, there was a heavy rain in the afternoon, and everyone was soaked, but they continued forward with passion and faith. Following the procession is like a spiritual cleansing journey between mountains and sea. 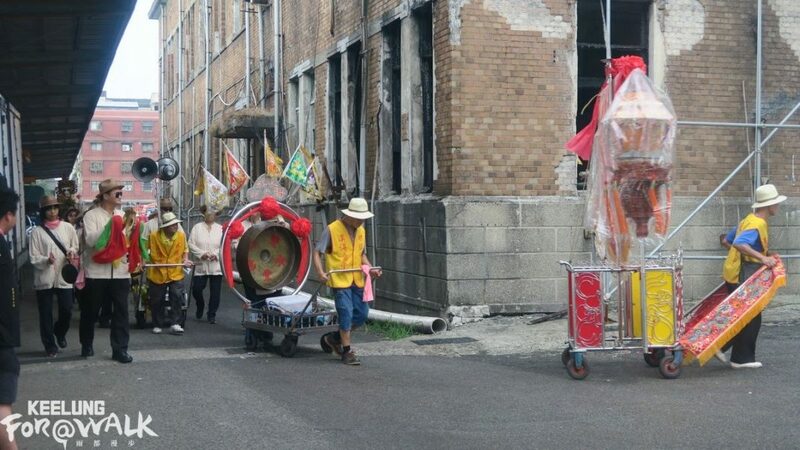 The procession group starts at Sheling Temple, across the Peace Bridge near the Cheng-Bing fishery port, stops at the Cheng-Bing fishery building, goes through the ruins of the Agena Shipyard, heads to the Sheliao Bridge around the Bachimen fishing port, and finally leads to Heping Island Park. 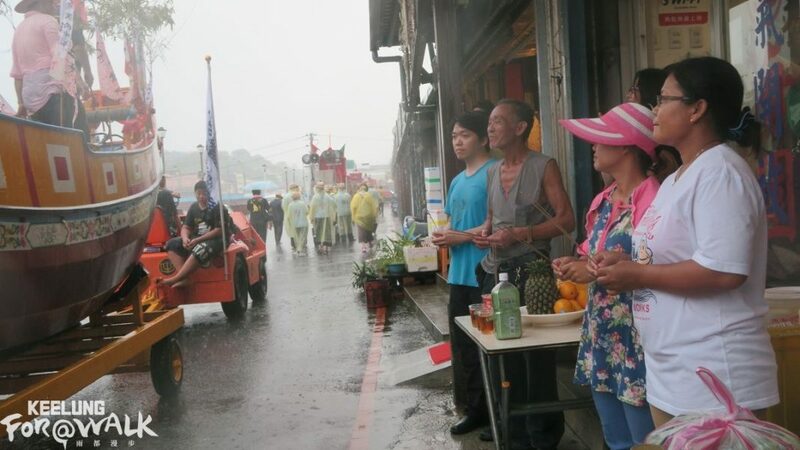 Along the way, you can explore the beautiful scenery surrounding Heping Island and many displays of local residents’ strong devotion to traditional beliefs. If this procession is not enough, there is a birthday party (“king feast”) for the three-Wangye birthday later at night.